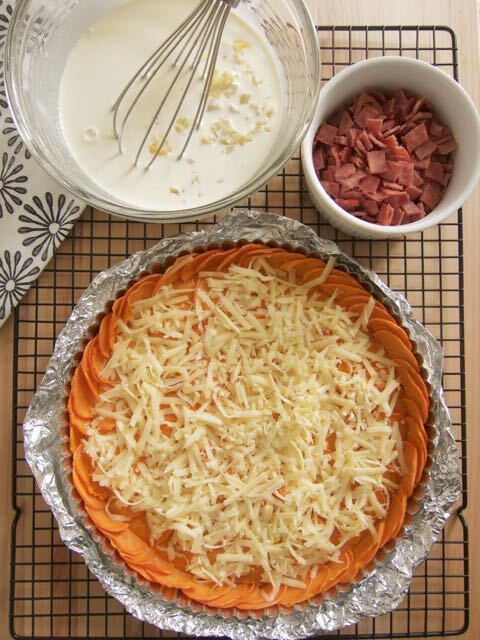 Using sweet potatoes for a quiche crust and using all whipping cream makes this a super yummy Paleo comfort food. There was a bit of a learning curve to be able to use a quiche pan with a removable bottom without a traditional crust because of the filling leaking. We learn so much by making mistakes so making things over and over until I’m pleased with a recipe to me is an adventure. No matter how I did it, I felt they all worked. Here’s what I found as I played around with this one. Using different amounts of potato slices was all okay but the cooking time needed to be adjusted depending on how many and how thick they were. Also the thickness of the potato slices makes a difference in how flat they lay and how long you cook them. I experimented with two different mandolines to slice the sweet potatoes. 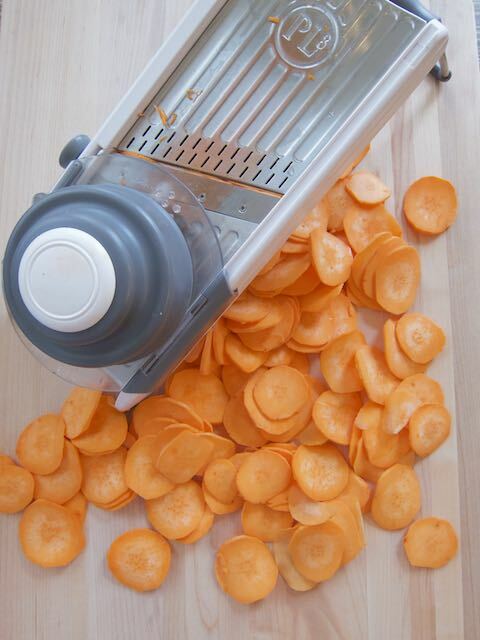 The thinnest setting for the second one cut thicker slices than the other mandoline. The thinker slices curled more. If your pieces stay flat, you can skip having to use pie weights. Just brush on the butter and cook the crust as is. 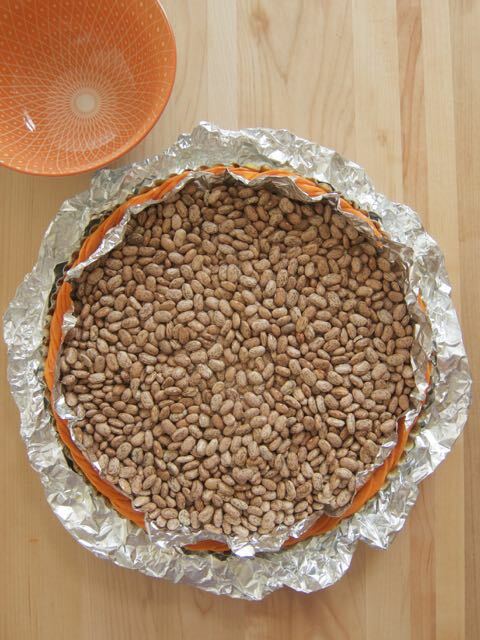 If the slices are curling, you will want to place a piece of parchment or foil over the crust and fill it with pie weights or dry beans. Doing this will require additional prebaking the ‘crust’ cooking time. The potatoes need to be tender before the filling goes in the crust. Using a sweet potato crust instead of a normal flour crust in a quiche pan with removable bottom leaks because the filling gets through the slices. It amounts to 1/4 cup of cooked custard which was still a bit messy even with a pice of foil under the pan keeping it from spilling in the oven, but I wouldn’t say it doesn’t work to do it this way if you want to. However, make a liner by putting parchment paper in the pan that is large enough cover the bottom and go up the sides will stop this. You will still want the foil bed the pan sits in. 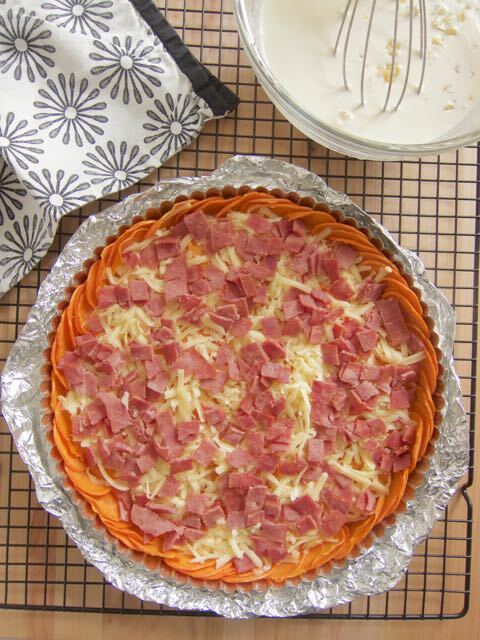 Using a quiche pan will give you the classic quiche look and the thin slices of sweet potato are very pretty around the edges, but you can also use a normal pie plate and not have any of the extra trouble. 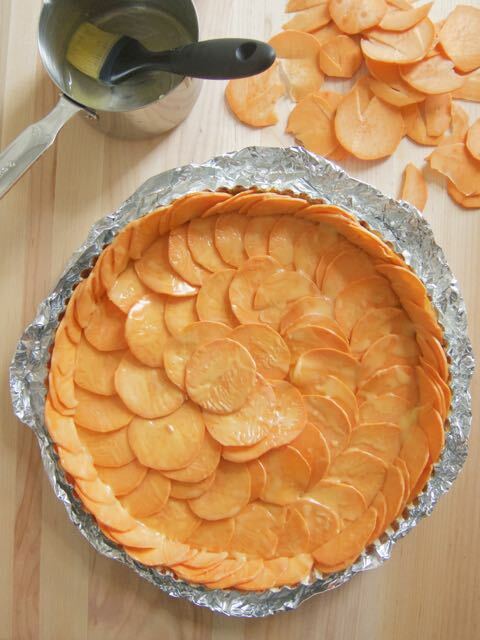 Do the same thing; whole slices of sweet potato on the bottom and half slices around the sides. 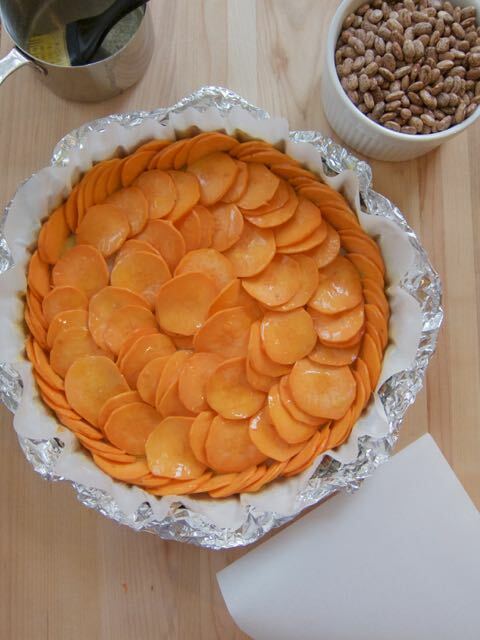 You will be using half the butter to grease an 11″ quiche pan or 10″ pie pan, and melt the other half to brush onto the ‘crust.’ Peel sweet potatoes and slice very thin using a mandoline slicer. Lay overlapping slices in concentric circles. Cut circles in half for the sides. The slices should all overlap enough so they are two layers thick and will still cover the pan completely when they shrink as they cook. 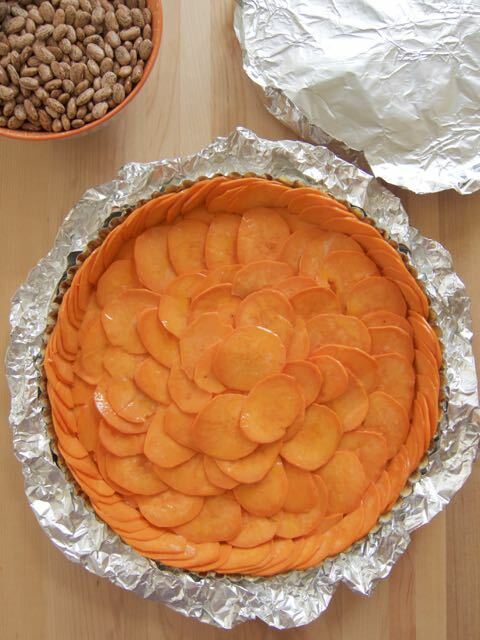 Make a foil bed to place the quiche pan in. Brush the assembled crust with the melted butter. 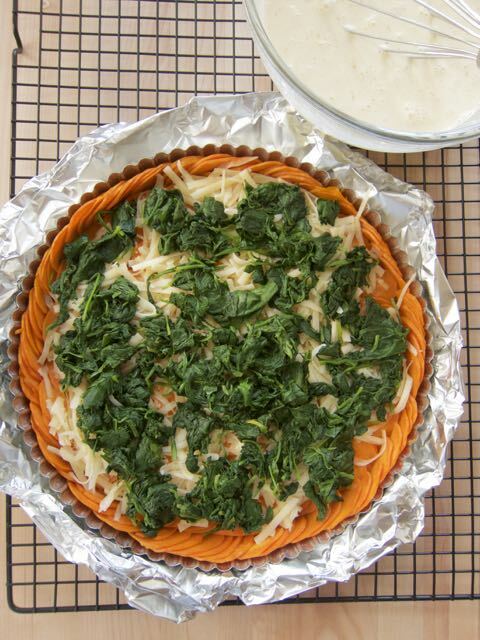 (Add parchment or foil and pie weights if the slices are curling a lot.) 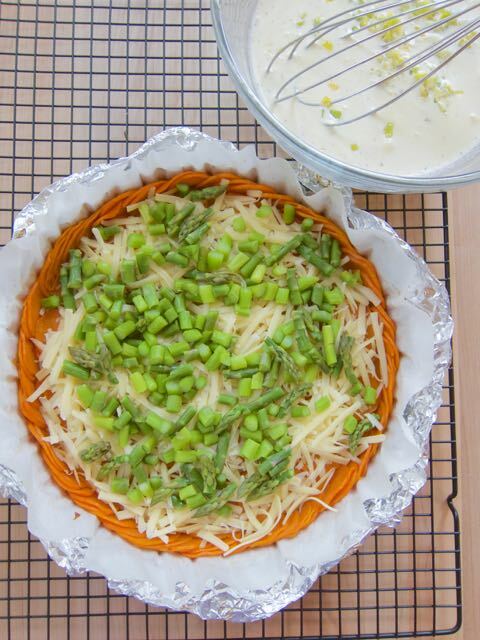 Bake the crust in a 350 degree oven for 30 – 45 minutes depending on the thickness of the slices, how many layers of slices there are, and whether you are using pie weights. Bring it out of the oven and place on a cookie rack and, using a spoon, press the sides back up straight if they have slid down. 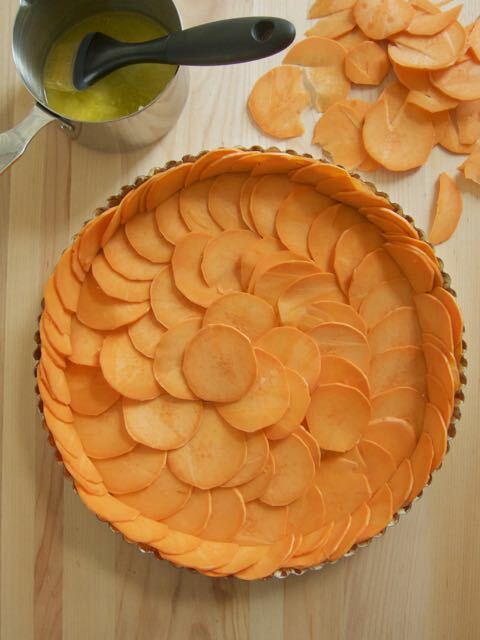 *Use up any leftover potato in salads by cutting the slices into julienne pieces. Saute onion in butter for 5 minutes until translucent but not brown. 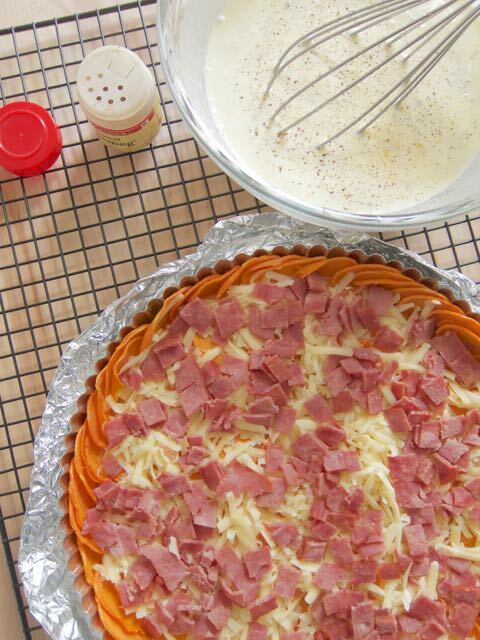 Place the shredded cheese and the bacon on the crust. 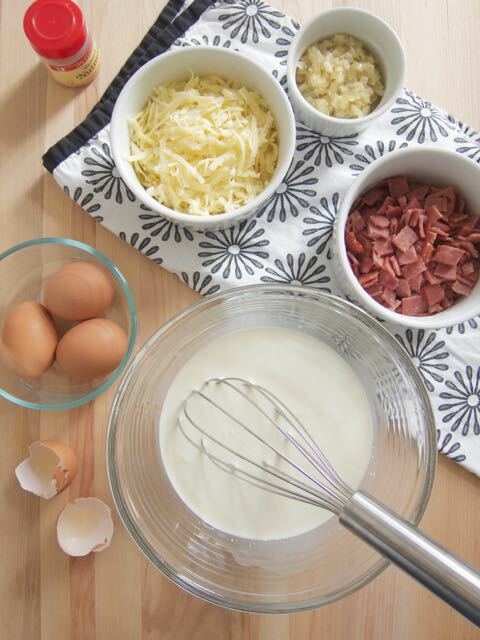 Blend the cream, milk, eggs, onion mixture and nutmeg and pour over the cheese and bacon. * Bake in a 350 degree oven for 40 minutes. Remove from oven to a cookie rack and let rest 10 minutes. The filling leaks out when you use a spring form quiche pan and it’s a little messy, but it cuts well and the crust is really pretty. *I reserve 3/4 cup of the filling in a measuring cup with a handle. I place the quiche in the oven and then pour it over the rest. 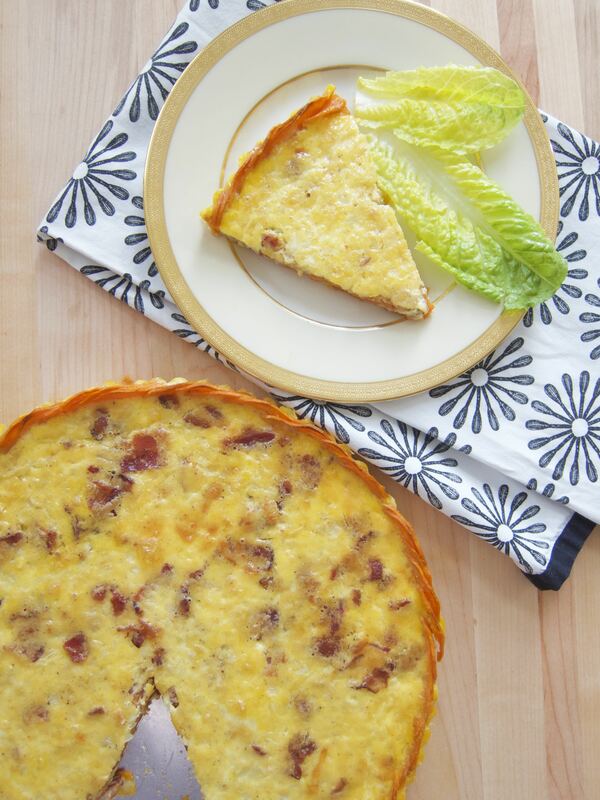 This way I don’t have to worry about tilting the quiche and having the filling spill onto the crust. I do this with pumpkin pie too. 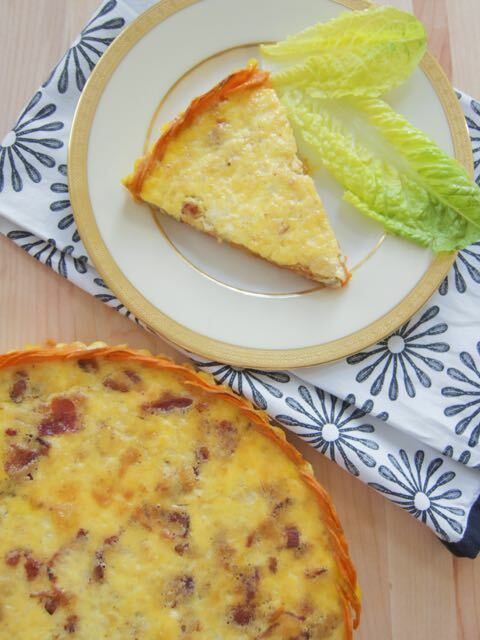 Follow the instructions for the first filling but substitute the bacon, Jarlsberg and yellow onion for these ingredients. 3 cups finely sliced or chopped white and light green part of leeks (Set heat to medium high. Place leeks in a skillet with 1/2 cup water and 2 tablespoons butter. 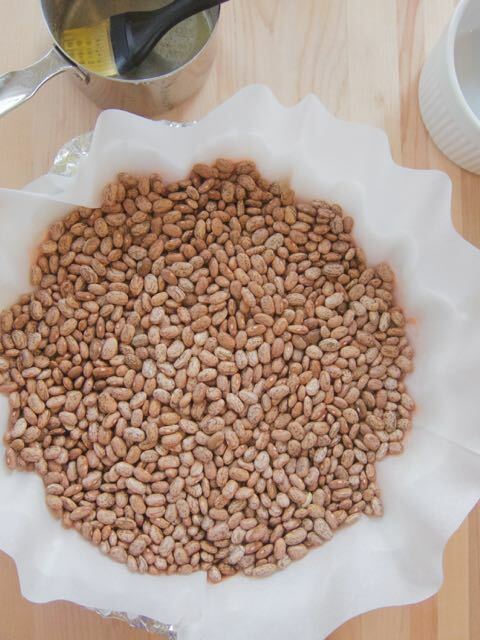 Bring to boil, cover and reduce liquid to a tablespoon. Remove lid and set temperature to medium low and let stew 5 minutes. You will end up with 1 cup of cooked leeks.